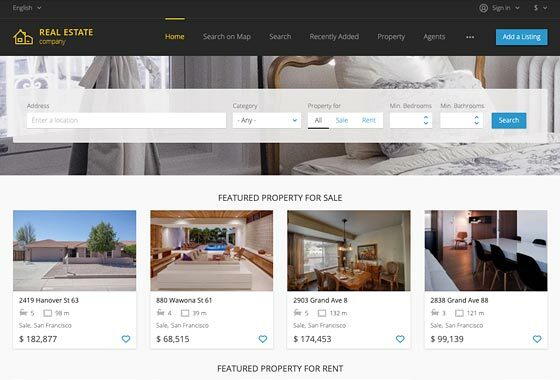 Our PHP real estate script represents a feature-packed CMS for starting a robust property listings website both for agents and private sellers. 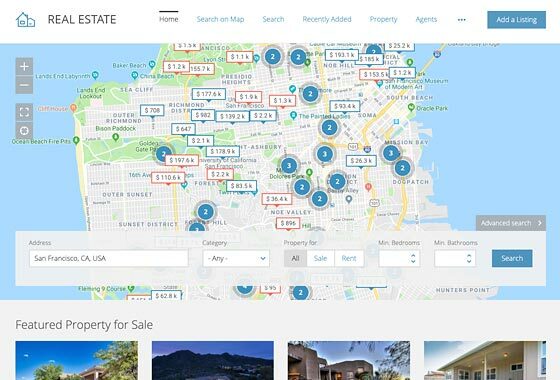 With responsive themes, free and premium plugins and mobile Apps, you can build a fully-fledged real estate portal allowing your users to add listings on the go. 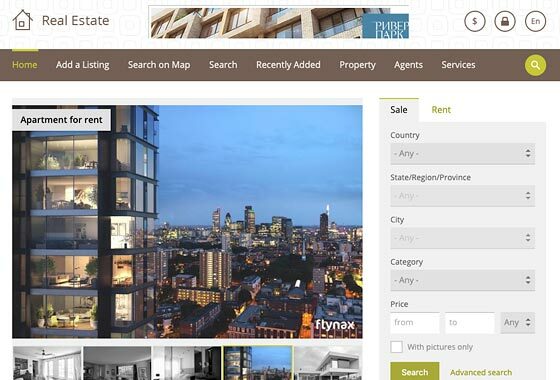 Start your own website for property listings with Flynax real estate script! Our real estate script offers you hundreds of features giving you maximum flexibility in setting up your website and managing content. With our free and premium templates designed for real estate classifieds, your site will look equally good on all mobile devices. You can monetize your website by offering premium packages, featured listings, banners, bump-ups, highlights, and featured agents. Agents on your website can have standalone SEO-friendly pages on subdomains with all their listings and contact form. As part of membership plans, the real estate script allows your agents to feature their accounts on the home page in a special box. A stunning search-on-map functionality that allows your users to search for property on large Google map similar to Zillow. You can always boost your site with powerful plugins related specifically to real estate script. Transforms your real estate site into rental property portal. Gives a virtual tour to home surroundings before seeing it. Calculates amortization schedule based on amount, term and rate. Allows you to populate your site with listings from XML feeds. Shows location of a property on Google Maps based on address. Shows changes in prices for property in table or chart. A flexible extension that filters listings by numerous parameters. Generates a unique ID of a property and search field for IDs.